Alexander Römer studied carpentry and architecture. 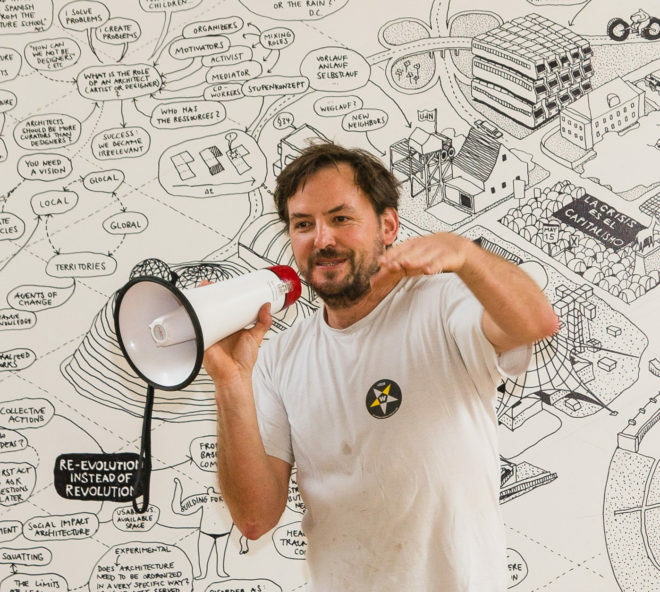 He founded ConstructLab as a forum for participative design-build projects in 1998. In 2005 he joined the Parisian collective EXYZT and worked on many projects among others the French contribution to the 10th architecture biennial in Venice 2006. With the idea of ConstructLab and its network of designers, builders, architects, photographs, graphic designers, gardeners or cooks he initiated and designed numerous projects internationally.